Students from Montgomery Blair and B-CC high schools organized the Enough is Enough school walkout Wednesday Feb. 21 to advocate for gun control legislation. 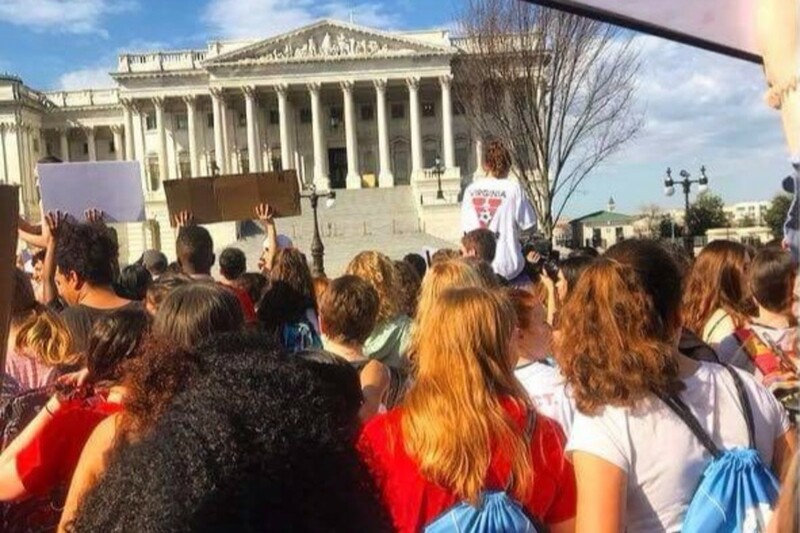 MCPS students marched to the Capitol and protested in the wake of the school shooting in Parkland, FL last week. Photo by a Whitman student. About 1,000 MCPS students walked out of classes Wednesday morning around 9:30 a.m. to march to the Capitol and advocate gun control legislation in the wake of the shooting at Marjory Stoneman Douglas High School in Parkland, Florida last week. Students at Montgomery Blair and Bethesda-Chevy Chase high schools organized the rally, but students from multiple other high schools—including Whitman, Richard Montgomery and Thomas Wootton—attended, MCPS officials said. Blair participants walked two miles down Colesville Road in the far-right lane, escorted by county police officers who stopped traffic and ensured students stayed in the lane. Students from schools further away walked to local Metro stations. Fewer than 10 Whitman students attended, likely due to a lack of information publicized at Whitman. After taking the Metro to Union Center, they met with the protesters from other schools. Around 10:30 a.m., one of the organizers, B-CC senior Olivia McCarren, led students to march to the Capitol. There, Maryland Congressman Jamie Raskin, Blair teacher Samir Paul and president of Marylanders to Prevent Gun Violence Jen Pauliukonis addressed the crowd. Raskin spoke of the power young people have in influencing political and social change, referencing monumental historical examples, such as the Vietnam War and Tinker v. Des Moines, where young people effected change, a student who attended said. Plans for the walkout began with a few Richard Montgomery students on Thursday, and the event was officially announced on social media on Saturday, organizer Daniel Gelillo said. Principals from a few of the schools attempted to discourage the walkout by announcing over the loudspeaker that students who left would receive an unexcused absence. 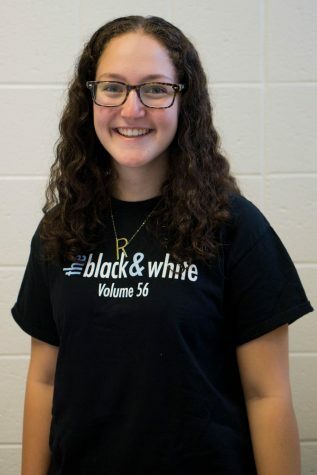 At Wootton, the school called the parents of the students who attended and the principal proposed a meeting at lunch to talk about issues rather than students leaving, Wootton juniors Sofia Weinstein and Caroline Gastwirth said. National marches and walkouts are scheduled for March 14 and March 24. Principal Alan Goodwin has expressed hopes of organizing a Whitman presence at both and will work with students and staff to ensure everyone’s safety. Students who walk out should get unexcused absences for missing their classes. We live in a pathetic area! Great article! So, so happy to see students speaking up for your own interests (being free from gun violence!) And, using the free press to do it! Nice going!